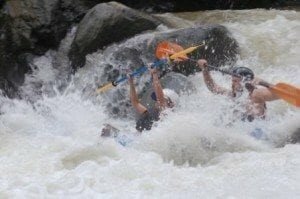 One of the most pristine rivers in the country, the Savegre is a magnificent stretch of coastal water rafting, surrounded by lush primary rainforest, waterfalls, and canyons. The forest around this river is home to many tropical birds, including egrets, osprey, toucans, parrots, kingfishers, and cormorants. 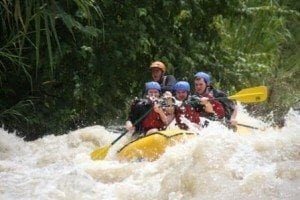 Savegre Rafting Class II-IV rapids can be the perfect recipe for adventure and excitement. 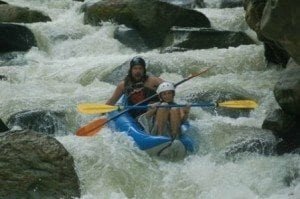 River quietest places provide appropriate visual wildlife and landscape, while fast, such as “Cinderella,” “Malibu” and “Devil’s Mouth” are adrenaline-inducing roller coaster rides. If you are into fishing, fly fishing is also popular in the Savegre, with rainbow trout are the most common catches.